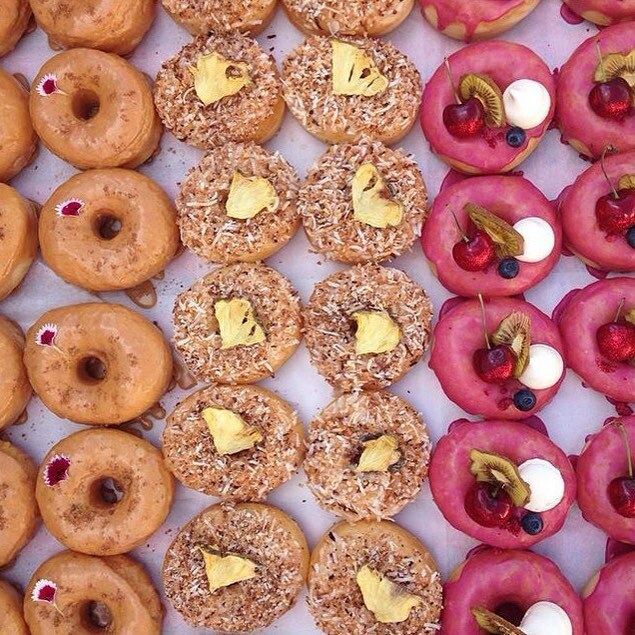 In 2014, we learned many things about our little city, but perhaps the most memorable was our insane obsession with donuts. If there was an Olympic event for donut eating we would surely win, with an astounding 73,200 donuts flying out the door on the very first day Krispy Kreme opened its doors. The wake of the Krispy Kreme pandemonium led to a lightbulb moment for Gracie Barrow, a recent TAFE graduate who was enjoying a stay in Europe at the time. She couldn’t believe that people were lining up for hours on end for such a mass produced product. Having spent most of her time falling in love with the food markets of Europe, she was inspired to trade in her upcoming chef’s apprenticeship to start her own business doing donuts the right way! Naming her brand with a Led Zeppelin reference (and who doesn’t love a pun! ), she has reinvented the humble donut - even the frenzy inducing cronut has nothing on these handmade small batch beauties. 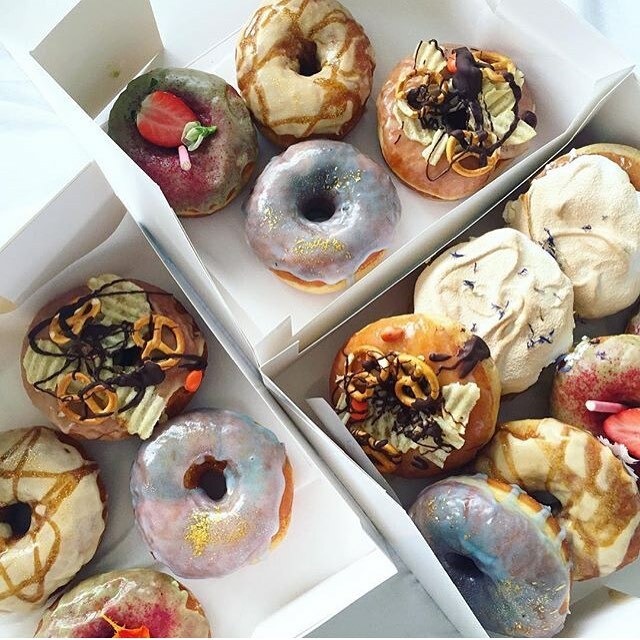 Working with products from local producers and funky ingredients from overseas, Gracie’s donuts feature an array of interesting and unique flavour combinations to bring something new and exciting to her customers. 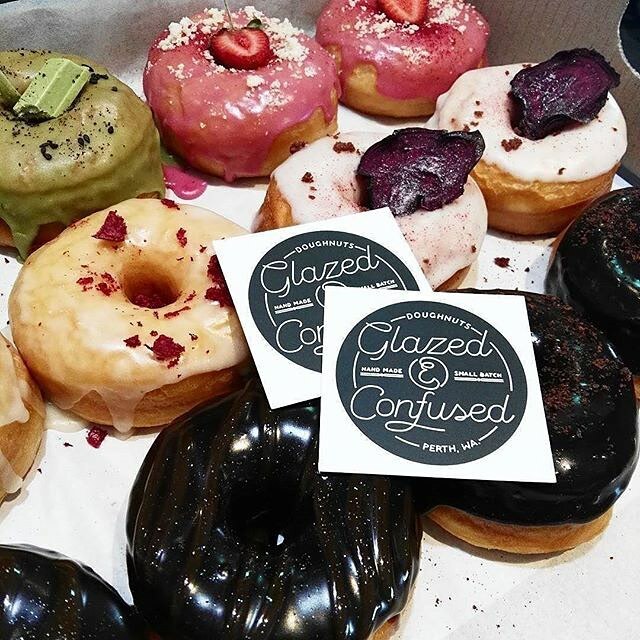 With flavours changing monthly, there is always something new to discover from Glazed and Confused. 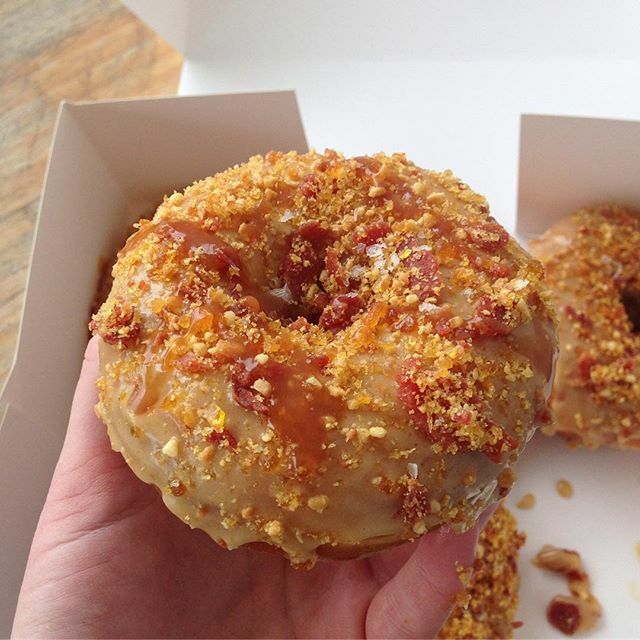 Right now she is whipping up a maple, peanut butter and caramel glazed donut, and if that wasn’t heavenly enough, it is topped with bacon, sea salt and praline. 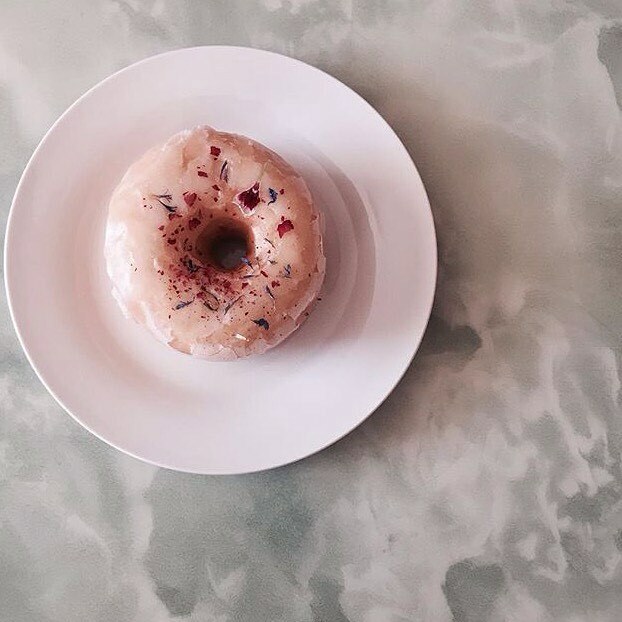 Other options include lemon curd with raspberry sugar and a tribute to Iced Vovo’s in donut form. One of Gracie’s favourite combinations was a Nail Brewery Hugh Dunn Brown beer and burnt butter glaze with stroopwaffles. Other past creations include a Harry Potter inspired butter beer donut, and even a gin and elderflower masterpiece. 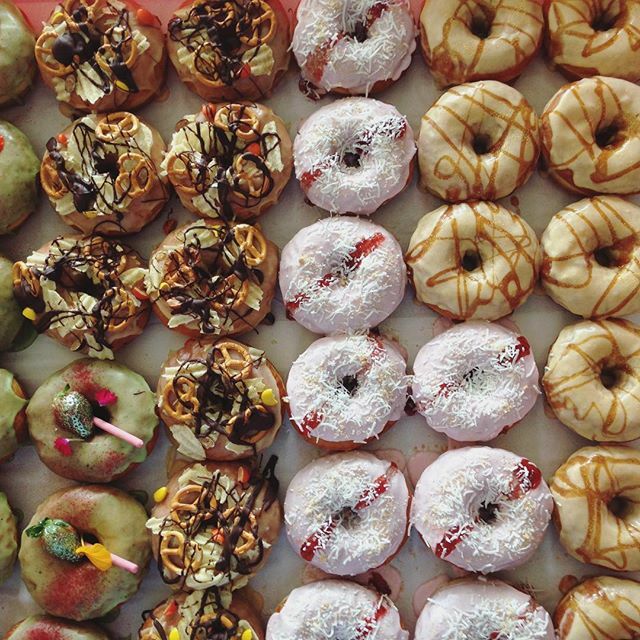 These hand crafted donuts are not only delicious, but works of art almost too pretty to eat! 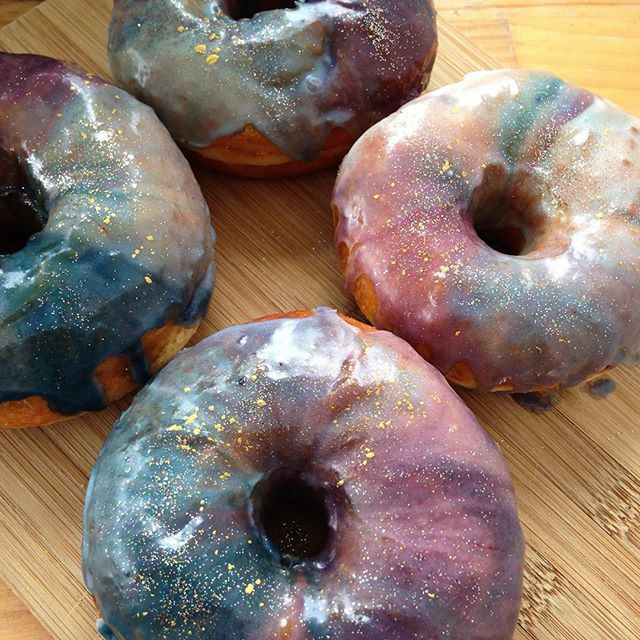 Her galaxy glazed donuts are literally out of this world. Of course, it’s what’s on the inside that counts - in this case it’s a soft and fluffy brioche dough which is not too sweet. Taking around 4 hours to make, they are always lovingly made from scratch on the day of sale using West Australian Products and free range eggs. Gracie says using real ingredients is very important to her, and will never use a premix. 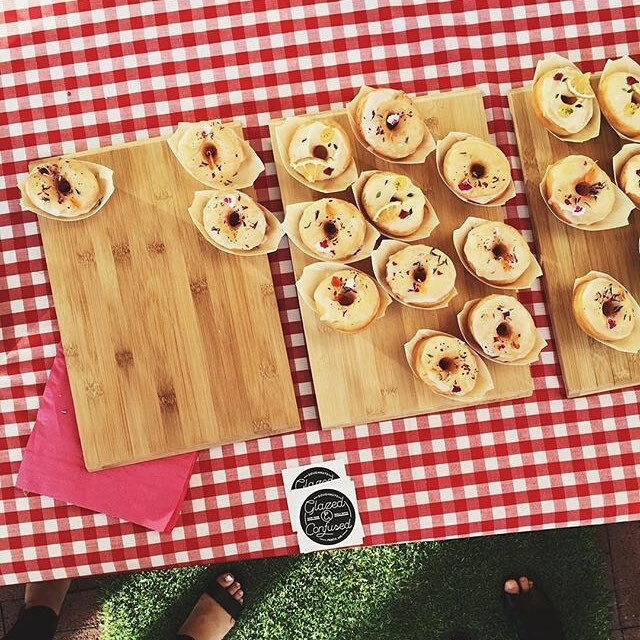 The role of professional donut maker sounds like a dream job, and Gracie says that while it is heaps of fun it is also a lot of stress and hard work as she does it all by herself. She says it’s all worth it when she sees how happy her donuts make her customers, and has been absolutely blown away with the awesome feedback and support she has received so far. Gracie says Instagram has definitely been an integral part of getting Glazed and Confused off the ground helping her to reach out and connect with so many people. She says small businesses definitely have a lot to thank for social media! Although she has moved away from deliveries to concentrate on markets, she still does one to two deliveries a month, so keep an eye out on Instagram so you don’t miss out! Gracie is currently working towards opening a permanent market store as she loves meeting her customers in person, and dreams of one day having a food truck of her very own. This would mean more donuts all the time, so get around Glazed and Confused and help make her dream a reality. Check out Glazed and Confused now on Instagram!